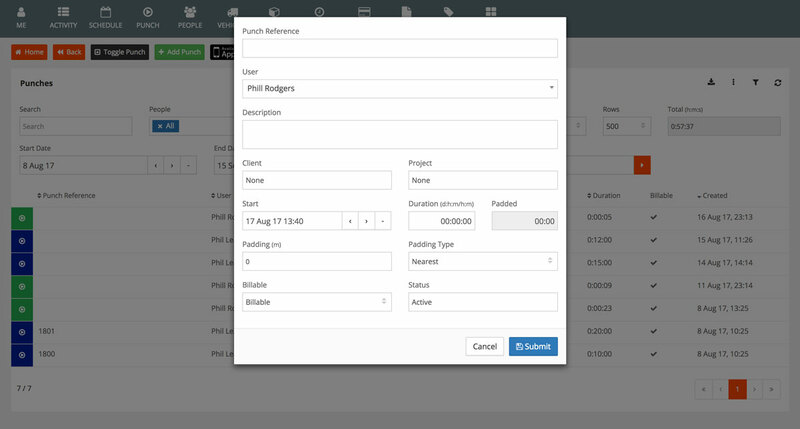 We have worked hard to make timing tasks or billable hours as easy as possible using the Alpaka Punch app, but what if you forget to record the work you have completed for a client? With the correct account settings you can manually create and edit new time records in the Alpaka admin panel. While this introduces the possibility of inaccurate time recording, it does mean you can use Alpaka as the single source of data regarding your team's activity and billable time for clients should you need to make adjustments. Not all team members will have editing permissions, you can structure the management of your data any way you wish using the sophisticated team member settings. Business owners can get an instant team & task progress overview from the detailed Punch pages or exports. The benefits of accurate time recording for clients are huge. Turn more time into money and easily cut tax costs by reviewing your accounting data.